It doesn’t matter how good you are—some customers will be unhappy. If you’re lucky, they’ll complain. The second one is what we’ll cover today. When customers complain, I see too many businesses fretting about whose fault it is that the customer is unhappy. That internal deconstruction is valid, eventually, but not at first. Because what’s done is DONE. The customer perceives that you failed to meet or exceed their expectations in one or more ways, period. The FIRST and ONLY thing to worry about immediately is to figure out what you’re going to do about it. And here, you have three (and only three) options. 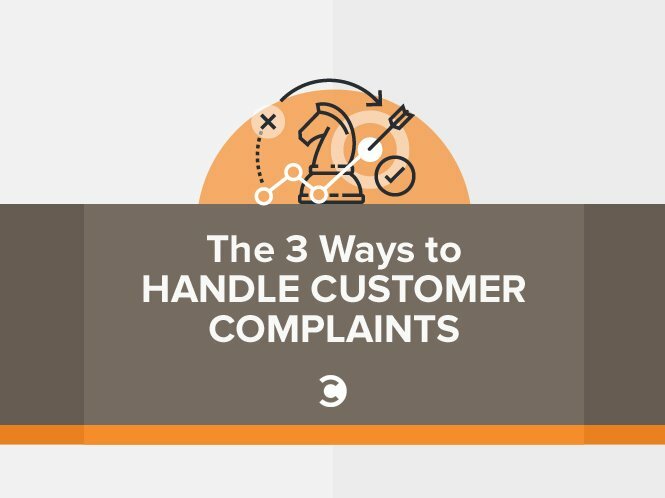 Sounds unreasonable, but research I included in Hug Your Haters found that one-third of all customer complaints are ignored. Disturbingly, the venues where complaints are most commonly ignored are the public venues: social media, review sites, and forums. Again, this sounds like a less than ideal option in the abstract, but it’s remarkable to me how many tales I see of businesses slamming unhappy customers. This probably feels pretty good in the moment, and may even generate some cheerleaders. But I do not believe it is a sound customer service approach – in social media or elsewhere – to make the aggrieved customer the enemy, even if the customer is an indefensible knob. There is always oxygen on the high road. HRD Software is a company that produces ham radio software, and cannot find the high road with a map, compass, GPS, and a Sherpa guide. In a truly remarkable piece of blame redirection, the firm intentionally “bricked” a customer’s software, making his system wholly inoperable. Why? He left a negative review of the software on a forum called eHam, months earlier. Yikes. The ham radio community did not like that. At. All. A thread on the forum QRZ.com racked up 37 PAGES of negative comments about HRD Software, before the owner finally jumped in with an apology, setting off 20 more pages of back-and-forth mea culpa. TechDirt has great coverage about this one, if you’d like to see the blow-by-blow. 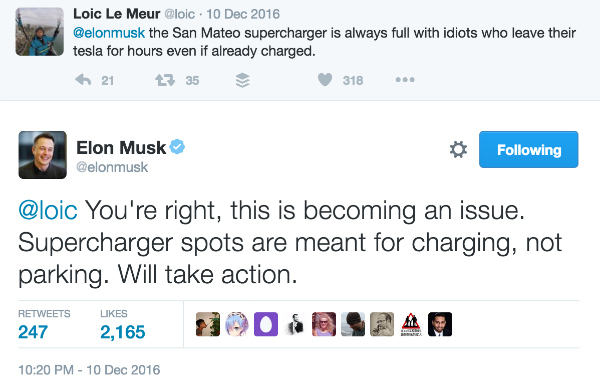 Musk himself responds in 20 minutes. He acknowledges the issue, and promises action. Six days later, Tesla published a blog post outlining a new policy that charges owners 40 cents per minute for “idle time” if their car is parked in a charging station after it is 100% full of electrons. A global company creates and institutes a policy change impacting its entire customer base stemming from a customer complaint on Twitter, and does it inside of a week. That’s accountability. That’s focus on effect, not cause. And that’s taking customer complaints for what they really are: the petri dish for improving operations.